Reupholstering Outdoor Furniture Can Be Complex. Our Instructions Are Not. Maybe you’ve had the same patio set for almost a decade, and it’s faded, torn or stained. You might have found an amazing deal on some deck chairs, but the cushions are an awful shade of ugh. You cringe when you think about having people over for a barbeque and wonder what it takes to reupholster outdoor furniture. Do you need to call in a professional? Would you be better off replacing what you have with a different set? Or is it possible to DIY this job? Are you going to have to give up a month’s worth of weekends to get this done? One question leads to another. 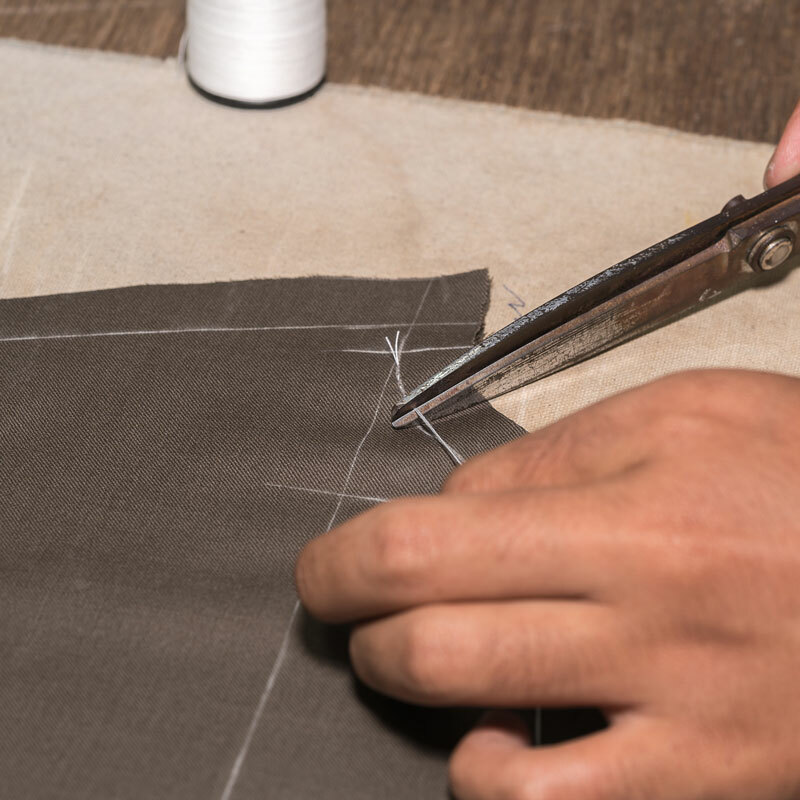 Happily, Phifer has all the answers -- and the fabric -- you need to get started. 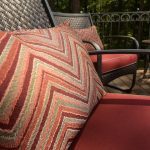 Even if you’re new to sewing, it is absolutely possible to reupholster outdoor furniture on your own. (Some projects don’t even require sewing!) We’ll walk you through everything you need to know, step by step -- from the materials and tools you’ll need before you begin, to tips for getting a beautiful finish. With the right help, reupholstering patio furniture can be surprisingly simple, fun and satisfying. By the time you wrap up your first project, chances are you’ll already be looking around for your next. It hurts to pay full price for new outdoor furniture just because the cushions are faded, stained (or in a hideous print someone else chose!) when the bones of the chairs are still good. The next best option is to pay a professional to reupholster it, but custom jobs don’t come cheap. 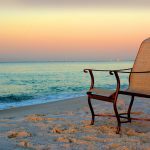 Recovering patio furniture yourself is a wonderful way to extend the lifetime of your chairs and save money. 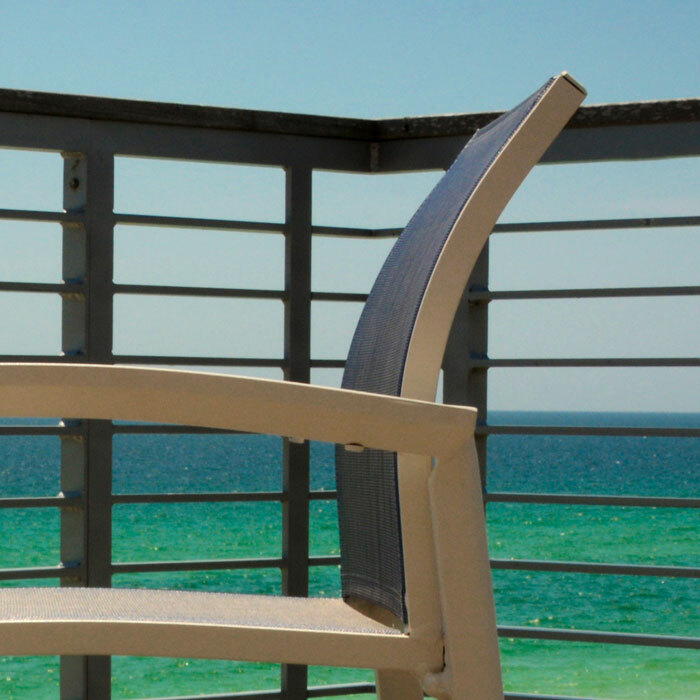 The best part of recovering outdoor furniture is the freedom of design that’s available to you. 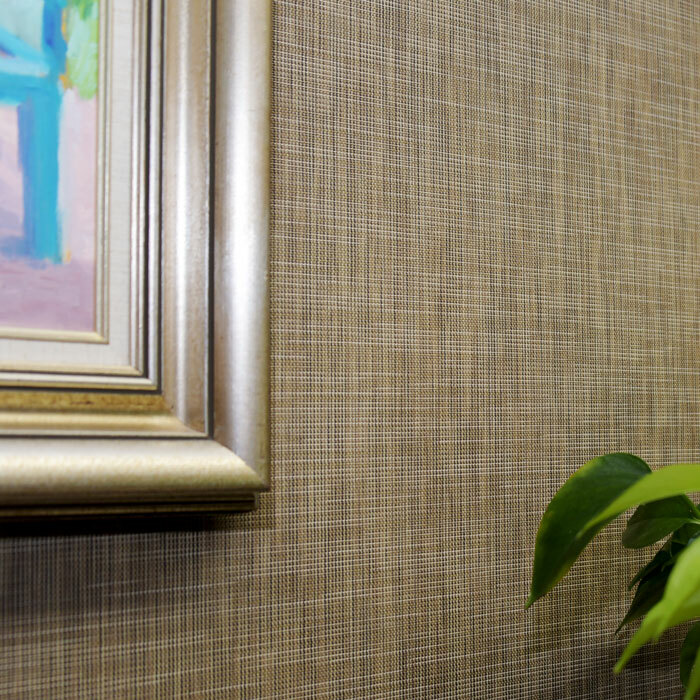 With Phifer’s expansive range of gorgeous designer outdoor fabric, you can create the look you’ve always wanted. Everything is in your control: color, texture, print. Stretch your design wings and create something you’ll love for years to come. DIY and crafting has never been more popular. So many of us spend long days in front of a computer now. Taking some time to slow down and make something beautiful for our homes with our own hands is an enriching experience. And when someone compliments your beautiful new patio furniture, you’ll have an impressive story to tell. How Do You Know How Much Fabric You'll Need? Figuring out how much fabric to buy for your project is simple. One note: it’s always better to buy an extra yard or two to make sure you have enough and to give you wiggle room if you make a mistake. Any leftover fabric can make wonderful throw pillows! Remember that you may need extra fabric if you are trying to match stripes, plaids or large pattern repeats. Measure the width from side to side (arm to arm if it’s a single cushion for a chair or loveseat). Then multiply that by 2. Measure the height/thickness of the cushion and multiply by 2. Measure the depth from front to back. When you have an estimate for one cushion, multiply by the number of cushions you need to recover. Phifer outdoor upholstery fabric is usually 54” wide, which gives you a good starting point to figure out how the pattern pieces will fit on the fabric. Graph paper can also be a helpful tool here. 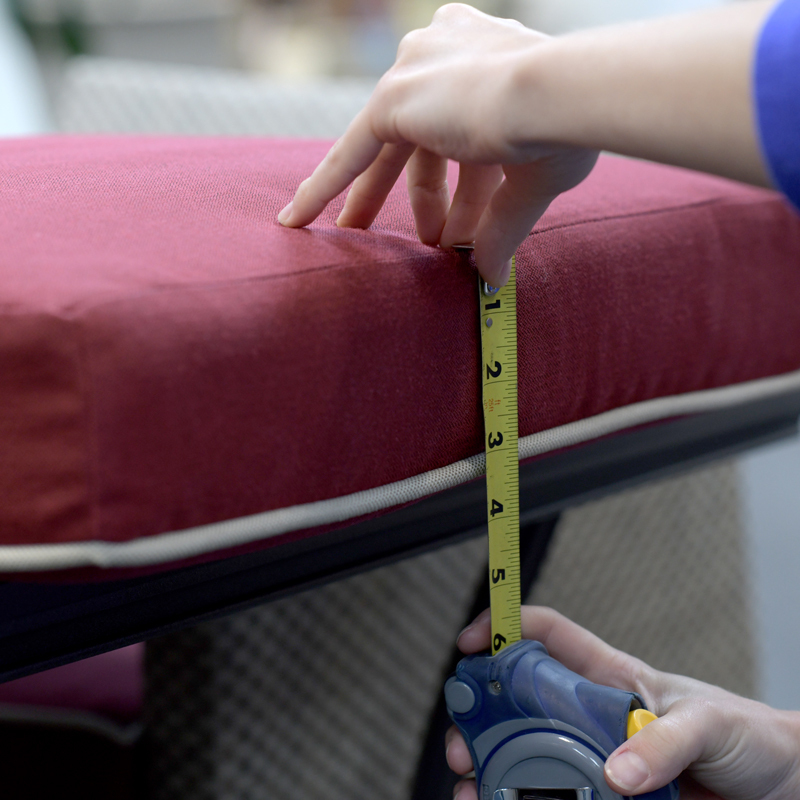 Measure the length and depth of the chair pad. Add 3 inches on each side. How to Sew Outdoor Fabric: Tips, Tricks, and Tools. How much time you’ll need will depend on the project itself. As a rough guide, you can probably recover a patio chair pad with a staple gun in under an hour. Reupholstering chair cushions will take a bit longer. Give yourself an afternoon to make your first cushion, and the rest should be much quicker. You don’t want to rush the project, so make sure you clear some space in your day to really enjoy the process. Working with outdoor fabric is different from dressmaking or crafting fabrics. Outdoor fabrics are heavier, thicker and sturdier than regular fabrics, and have special weather-proofing treatments, which can make them feel slicker and smoother. This may take a little getting used to, but if you start slowly and give yourself time to get to know the material, you’ll do just fine. 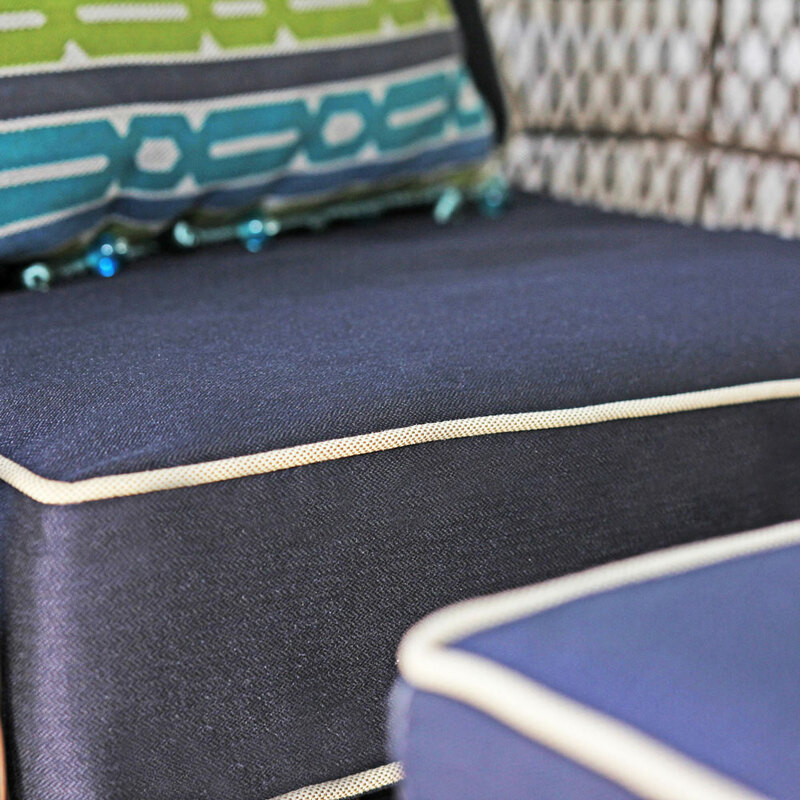 One of the great things about outdoor fabric is that it holds its shape beautifully. Like outdoor fabric itself, special outdoor thread is treated to be weather resistant. 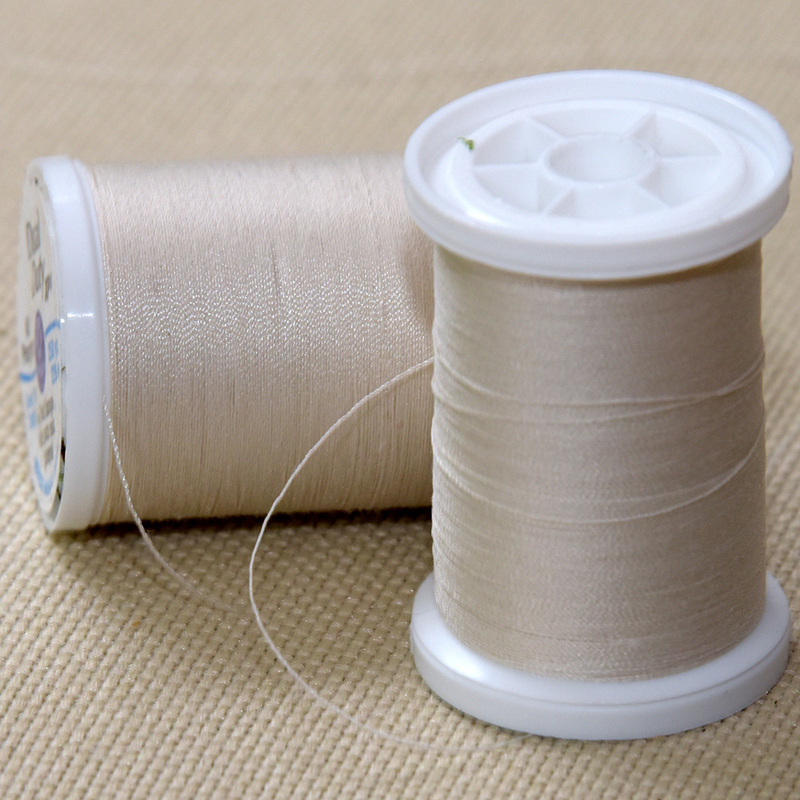 It’s often a polyester thread spun from several filaments to make it stronger. It’s also thicker and smoother than the usual cotton or poly-blend thread. It’s usually stiffer, too, which makes it easier to thread the needle. Most sewing machines come with more than one foot. The usual ¼ inch foot used for regular fabrics will work fine but, if you have a walking foot, it will create more lift, which makes it easier to feed thicker outdoor fabric through the machine. By using a walking foot, you won’t have to worry about bulk build up. It will also help control your rate of sewing, which helps if your outdoor fabric is a bit slippery. 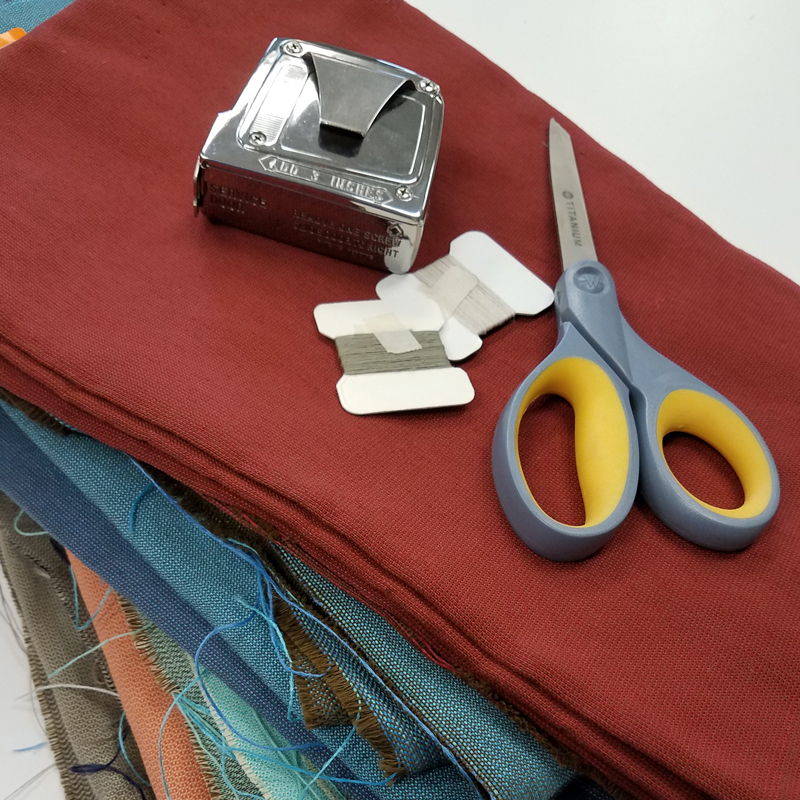 Finally, a regular needle will work but, when working with thicker outdoor fabric, needles made for quilting, denim or even leather will give better results. You’ll also want to keep a few spare needles on hand in case you need to change it. 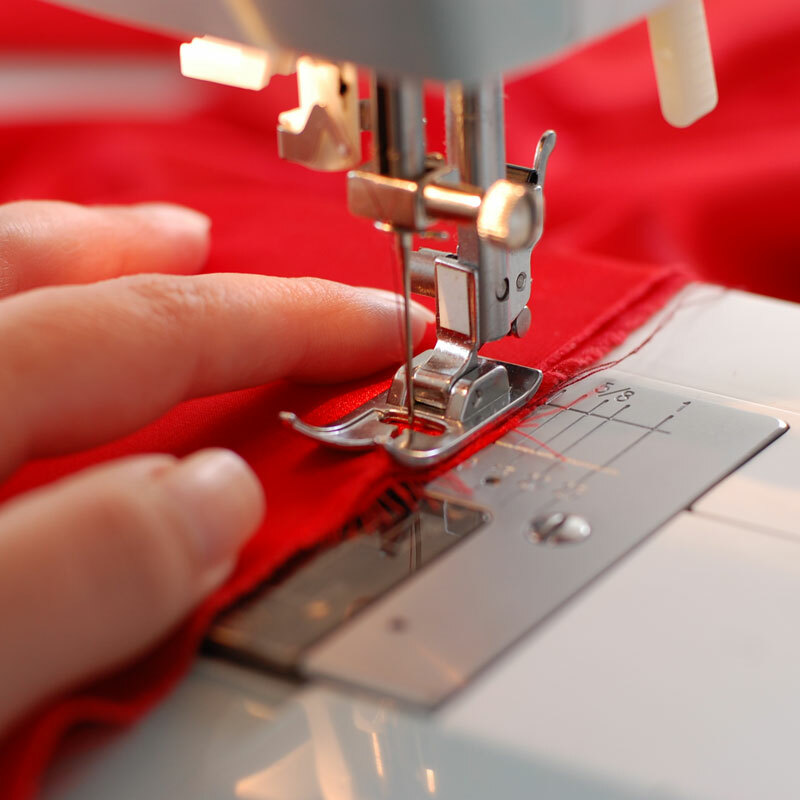 Needles can dull quickly when working with outdoor fabrics, which can cause snags or shred your thread. Whether you’re dealing with cushions or a patio dining chair pad, it’s sometimes possible to cover old fabric with new. If that’s your plan, you can skip this step. However, it’s often better to start with a clean slate. Take some reference pictures with your camera and phone. If you get confused later about how the pieces fit together, a quick glance at the original will help. For cushions, look for the seams and open them with scissors or a seam ripper. Try to keep the rest of the fabric intact – this will be the basis of your pattern. Put any cotton batting and the foam cushion inserts to one side. 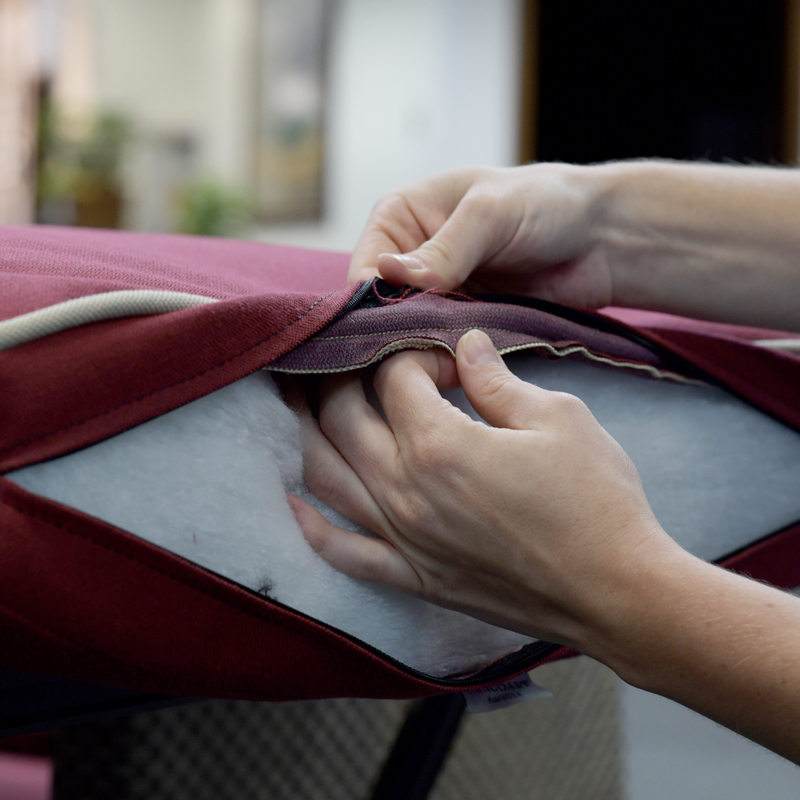 For chair pads, you might need a set of pliers or a screwdriver to remove staples holding the old fabric in place. Keep a jar or bowl nearby to collect all the old staples so that none go astray. Take the pieces of old fabric and lay them on your paper. To make your pattern, simply trace around the old fabric with your pen. Cut out the pattern pieces with scissors. It is possible to skip this step and just trace the old pieces of fabric directly onto the new fabric, but you may get less precise results due to fabric slippage. If you do decide to go this route, you’ll need to add your seam allowance in now. For cushions, you’ll need about a ½ inch of seam allowance. For chair pads, you will need 3 inches. On a wide flat surface, like a dining table or floor, spread your new outdoor fabric, wrong side up. 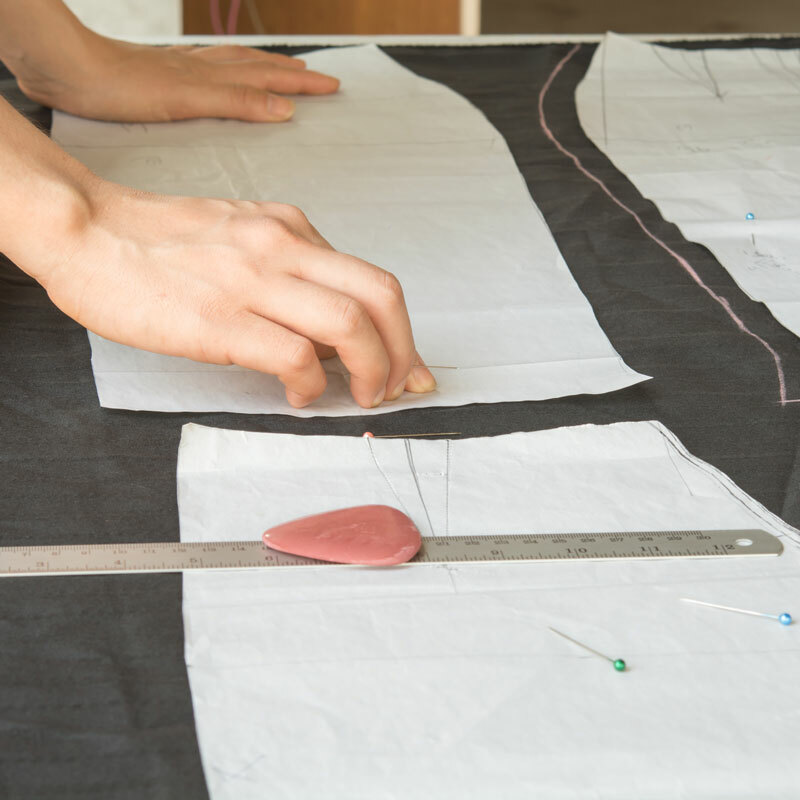 You can begin to pin the pattern pieces one at a time, laying them out to maximize your use of fabric. If you’re using a directional pattern like a stripe, plaid or check, make sure you’re happy with the pattern placement. You might not be able to be as efficient in your layout as you would with a solid or small print. 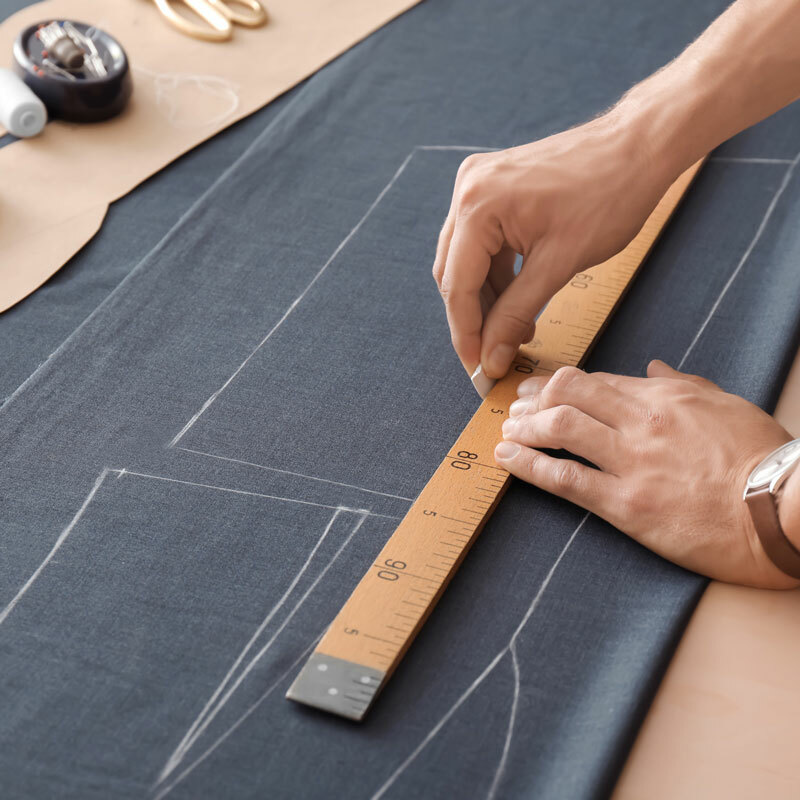 As you pin each piece, measure a seam allowance around the pattern piece and mark it with your tailor’s chalk or pencil. 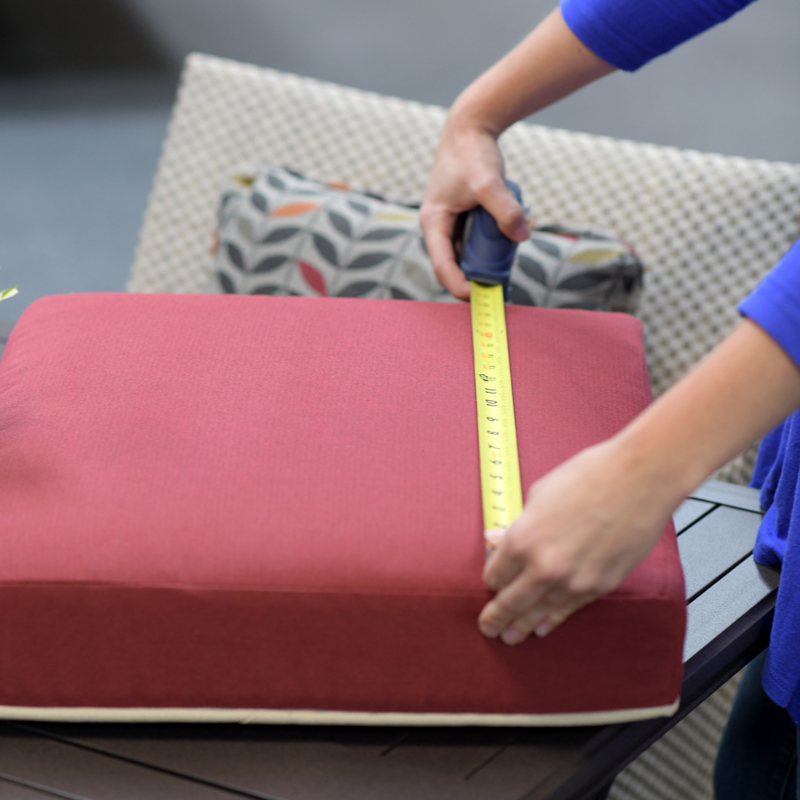 For regular seams on cushions, add an extra ½ inch. For chair pads, add 3 inches. Double check your pattern placement and seam allowances. Nothing’s worse than making a big cut and then realizing you’ve measured something wrong! Once you’re happy with placement, start cutting out each piece. 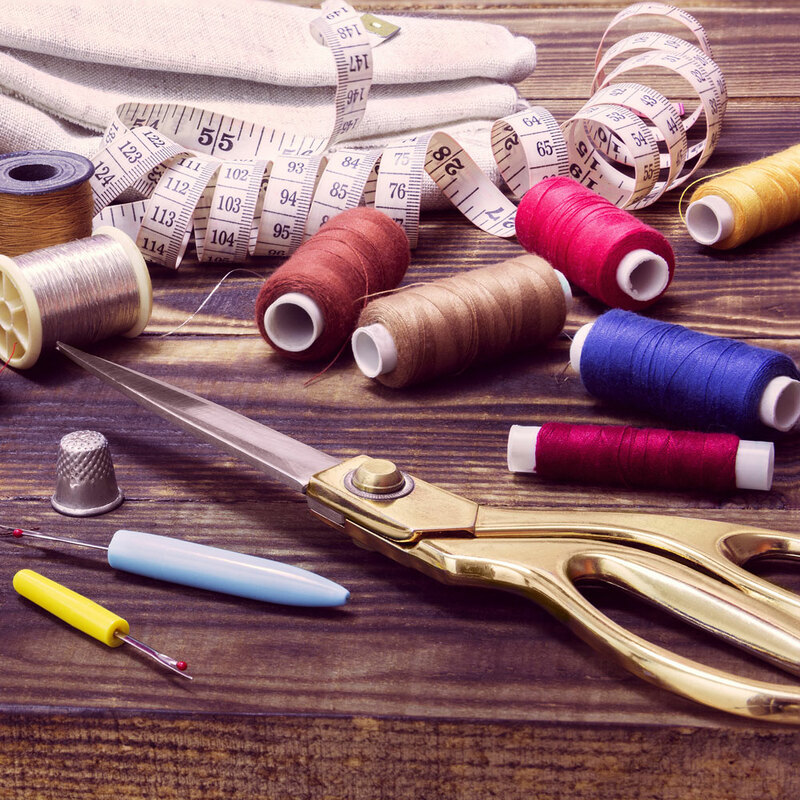 Using sharp scissors designed for cutting fabric will make the process faster and easier -- and ensure that you’re getting a clean cut without fraying or unraveling. When the pieces are cut, you can unpin them from the paper patterns. Now that you've gotten familiar with your fabric, it's time to dive into specific DIY projects. Depending on what type of DIY reupholstering project you're looking to accomplish, the tools stay the same, but the next steps vary a bit. Below are more tutorials designed to take you deeper into your DIY journey. 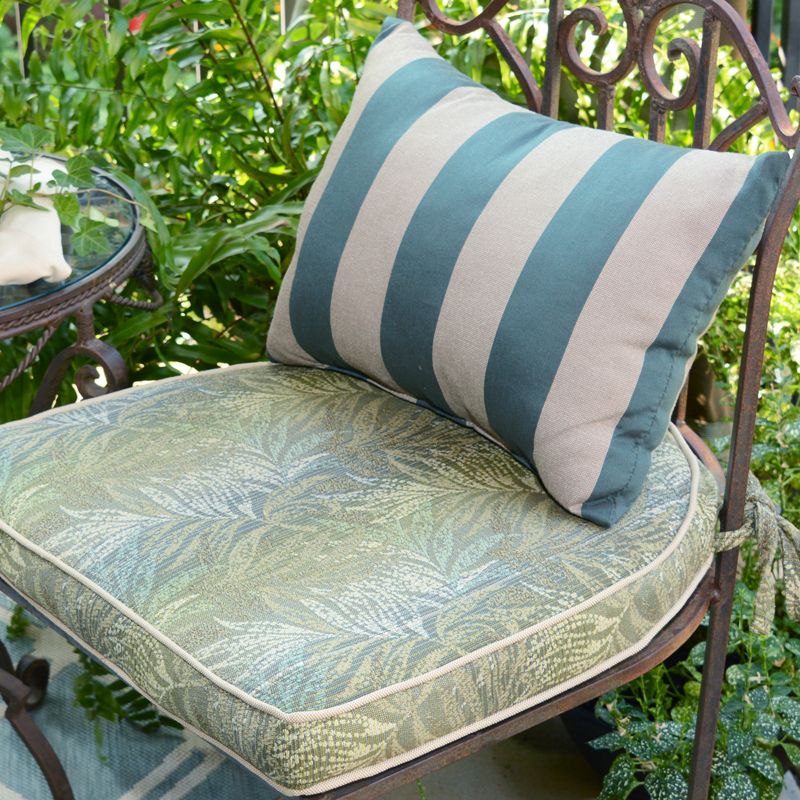 ​Let us show you the easiest way to make your own throw pillows and outdoor seat cushions. With Phifer’s easy instructions and gorgeous designer fabric ranges, you can add fresh interest and color to your patio furniture any time you like. 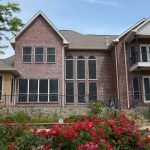 Outdoor curtains create a luxurious ambiance in any outside space and allow you to create a private hideaway in your own backyard. 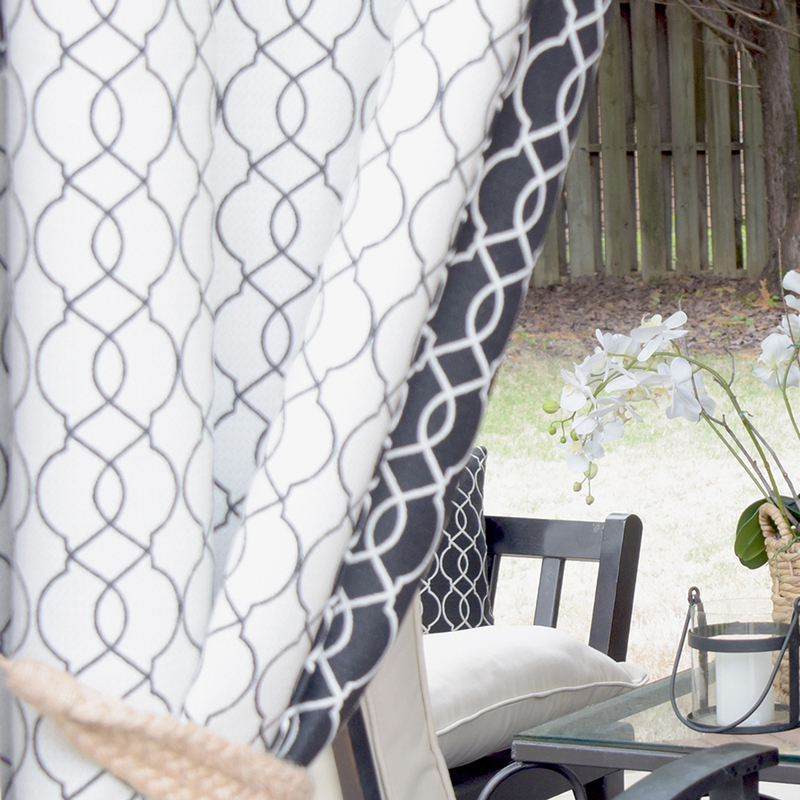 Let Phifer show you how simple it is to sew outdoor drapes yourself! 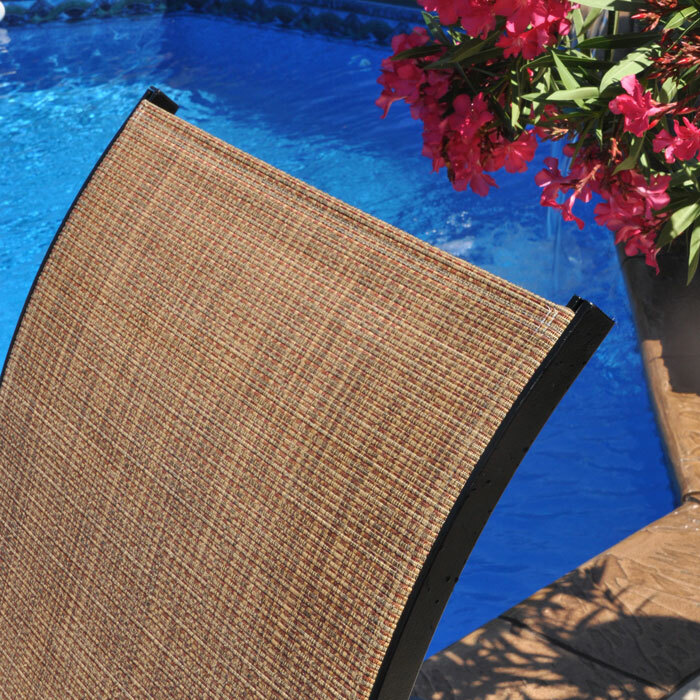 Phifer can teach you how to refresh your old faded or torn patio furniture with our easy guide to replacing sling chair fabric. The best way to ensure that any DIY project comes out right is to choose the right fabric for the job. 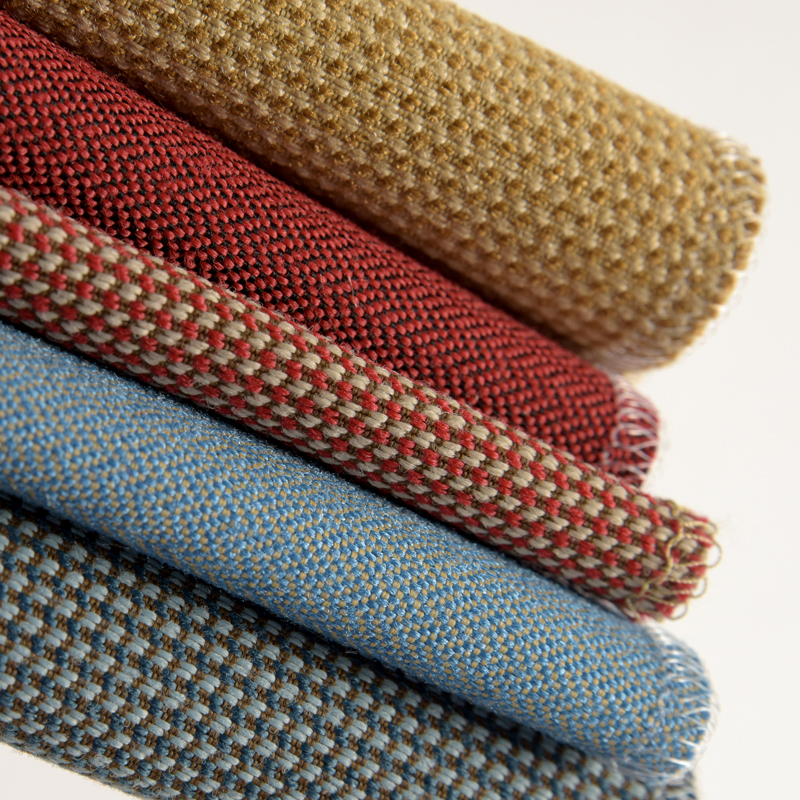 Phifer’s outdoor fabrics are designed to work beautifully in a range of applications. 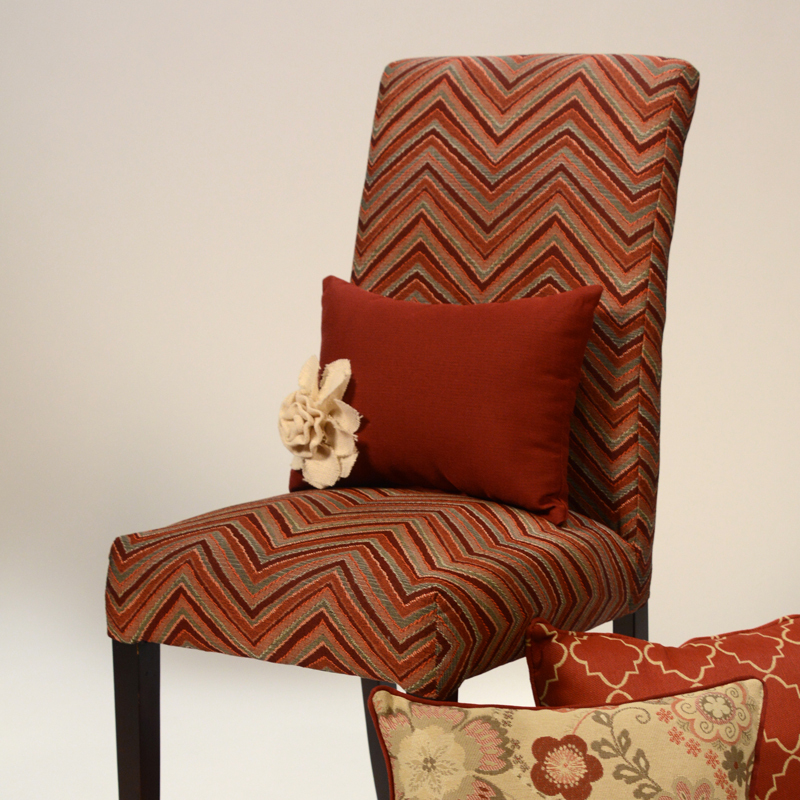 Sling furniture fabrics need to be as strong as they are beautiful. 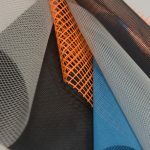 Phifer’s slingable fabrics have the strength and stability to stand up to the tension of sling chair applications and are rugged enough to hold up to the demands of many sporting and outdoor jobs. Phifer’s exciting range of hard-wearing outdoor fabrics offers a show-stopping variety of prints, weaves, colors and textures to suit every space. 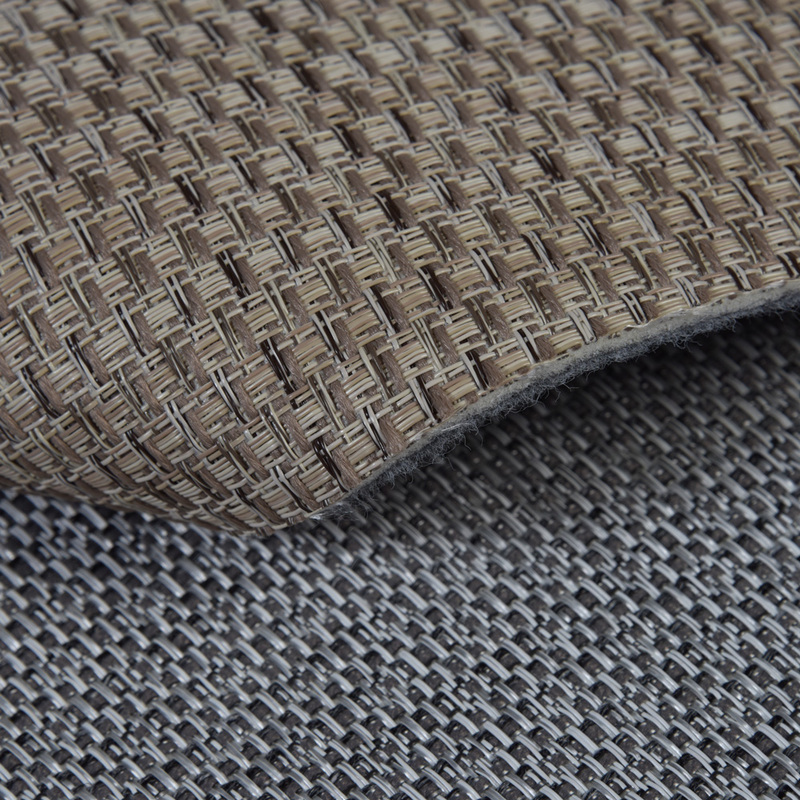 These durable and washable fabrics offer elegant solutions for a wide range of projects for indoor and outdoor spaces. Waterproof, antimicrobial and available in a fashionable range of solids and patterns, Phifer’s marine flooring is ideal for making your boat feel like your home away from home. Excited to start your first DIY upholstery project? 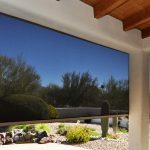 Now’s the time to explore the Phifer Outdoor Fabric Visualizer! You can play with color schemes, mix and match tones and experiment with textures using sample images to get an idea of how your vision will come together. If you have any questions or need more guidance, Phifer is here to help. Get in touch with us! We’re always happy to answer your questions over the phone, email or live chat! 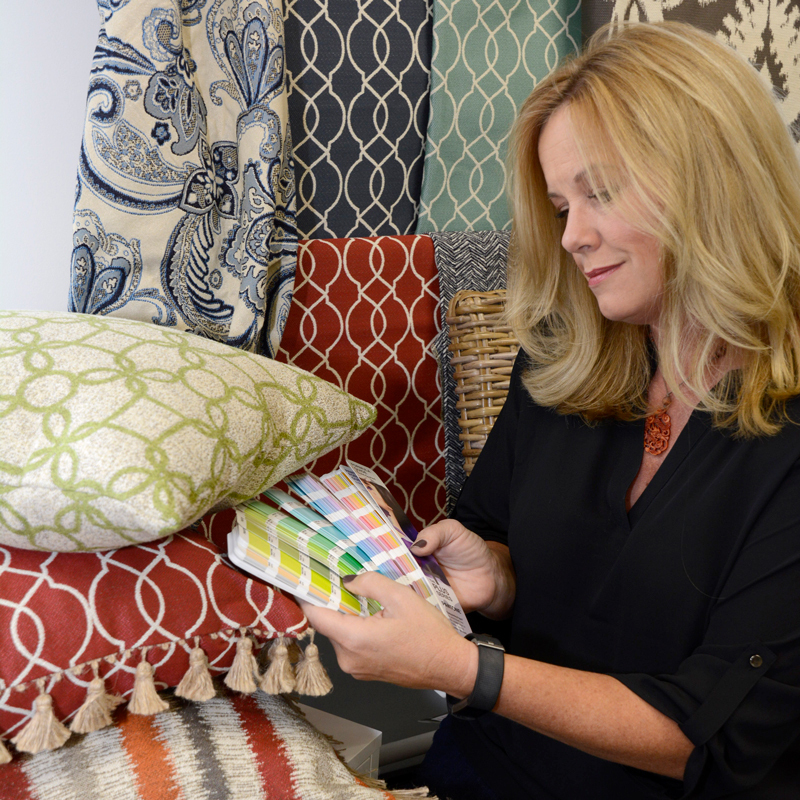 We can help you get started on your exciting project ASAP by helping you find a local or online retailer with your chosen Phifer Designed Fabrics in stock!